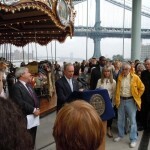 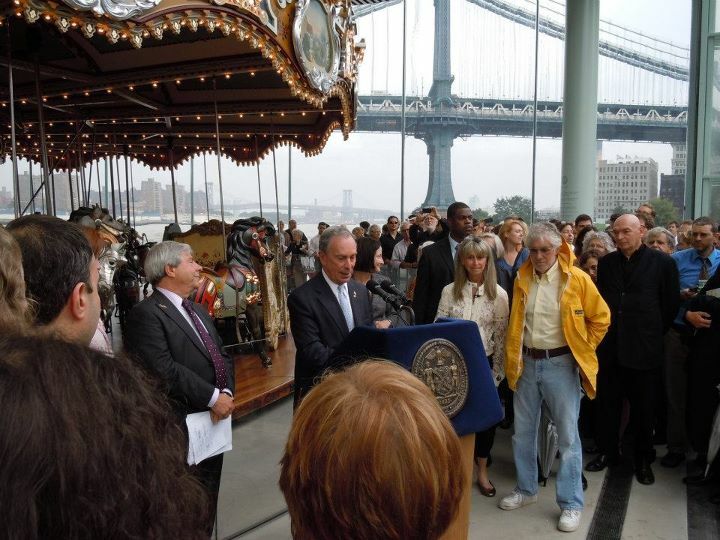 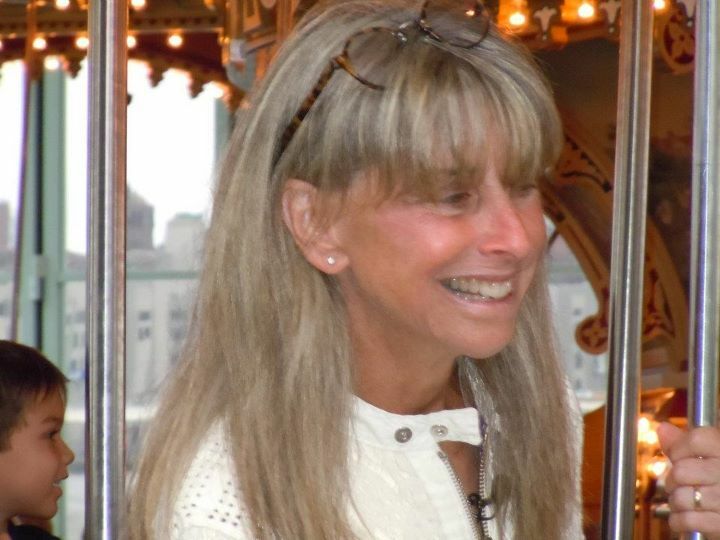 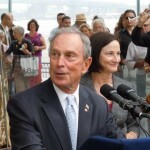 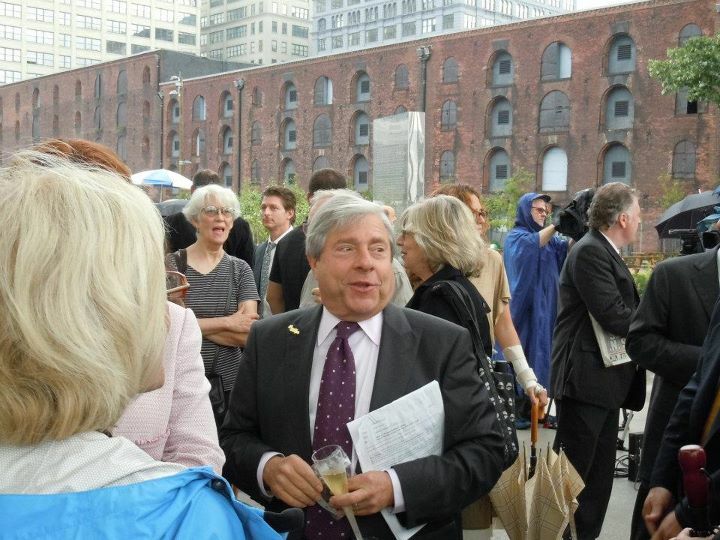 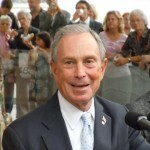 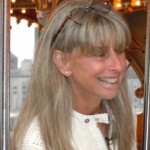 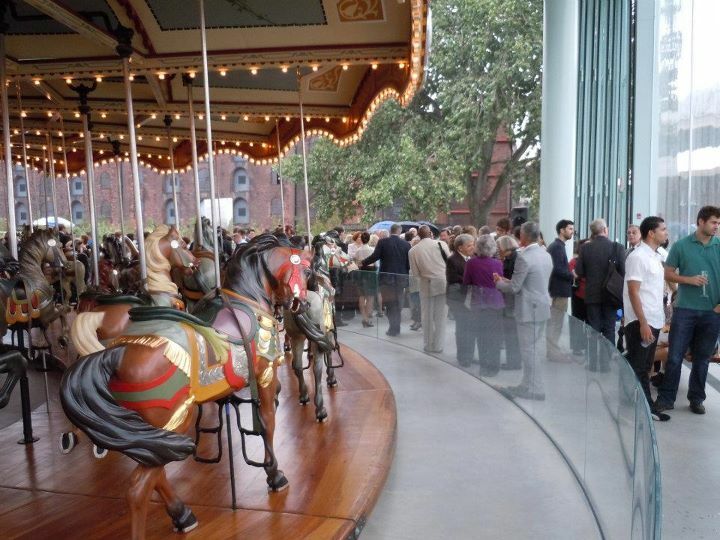 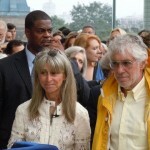 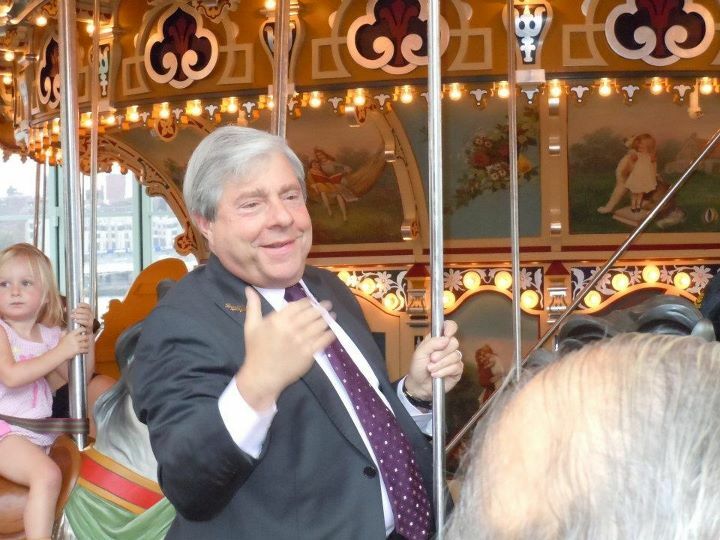 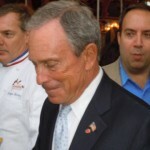 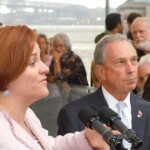 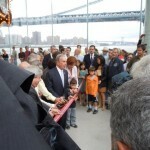 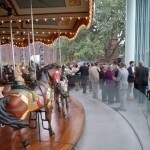 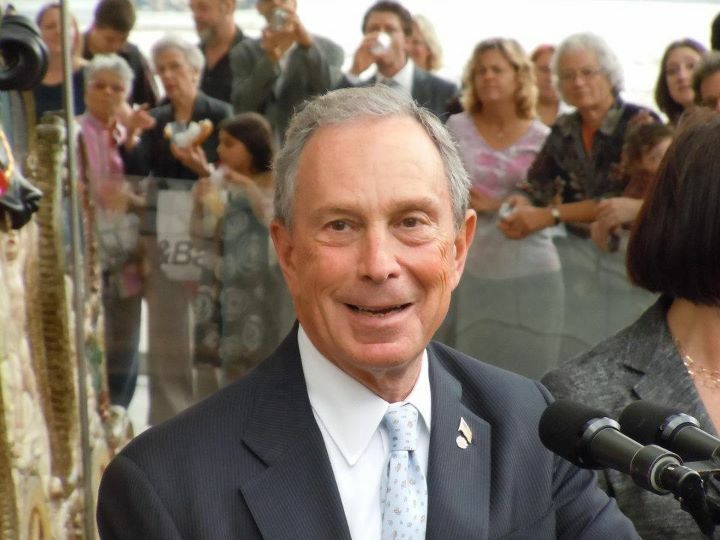 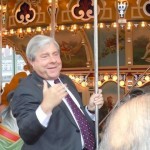 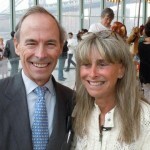 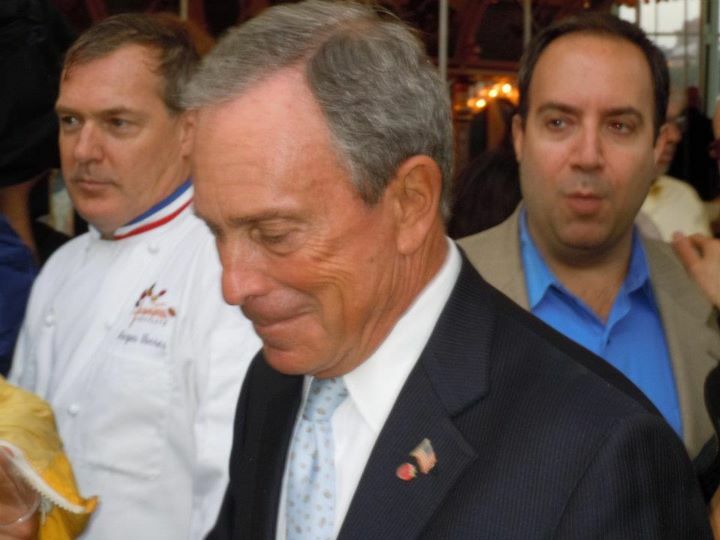 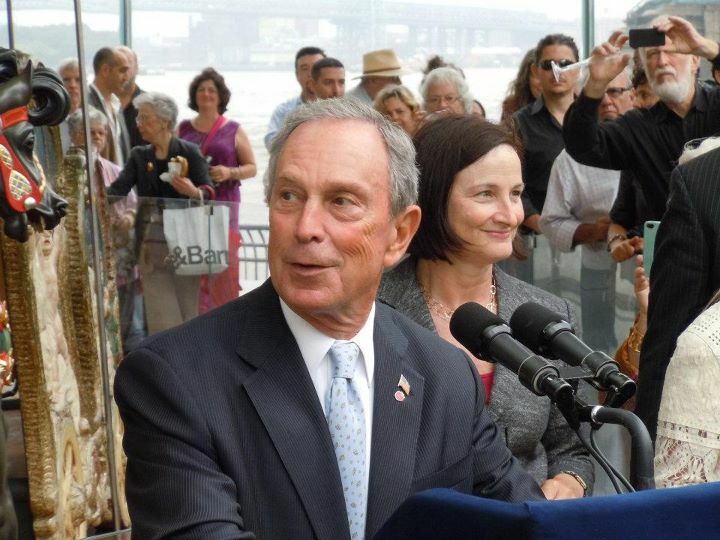 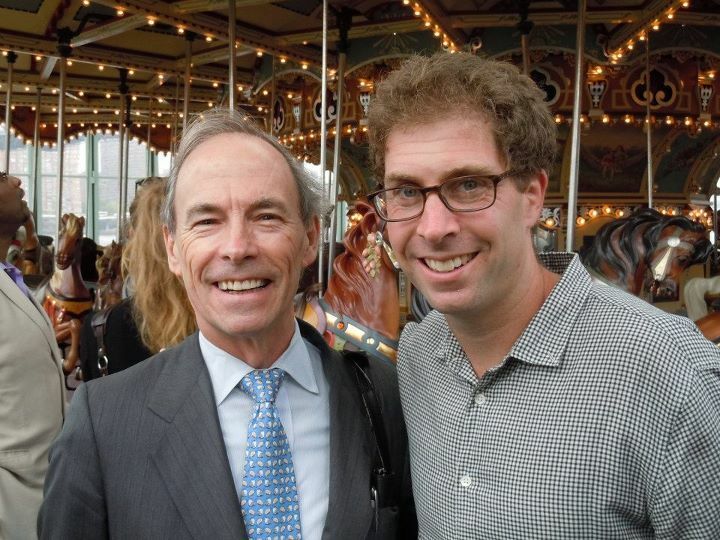 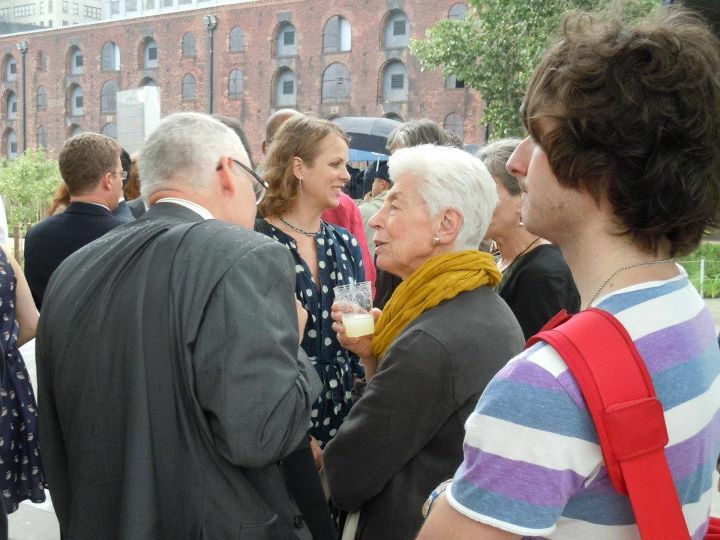 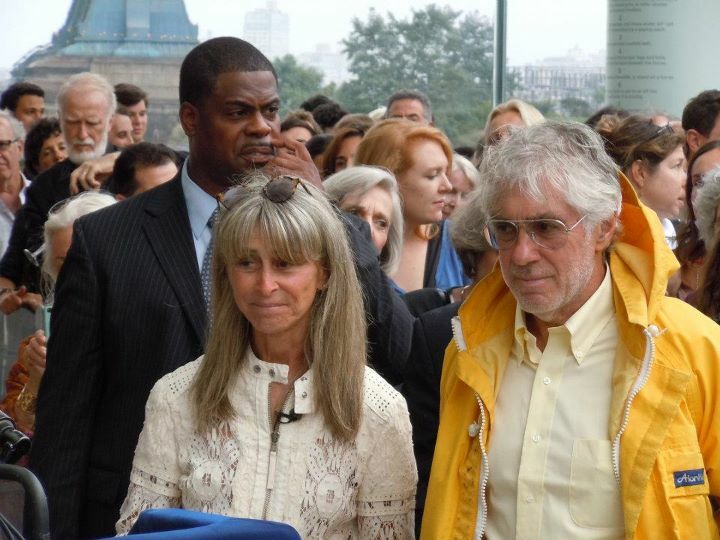 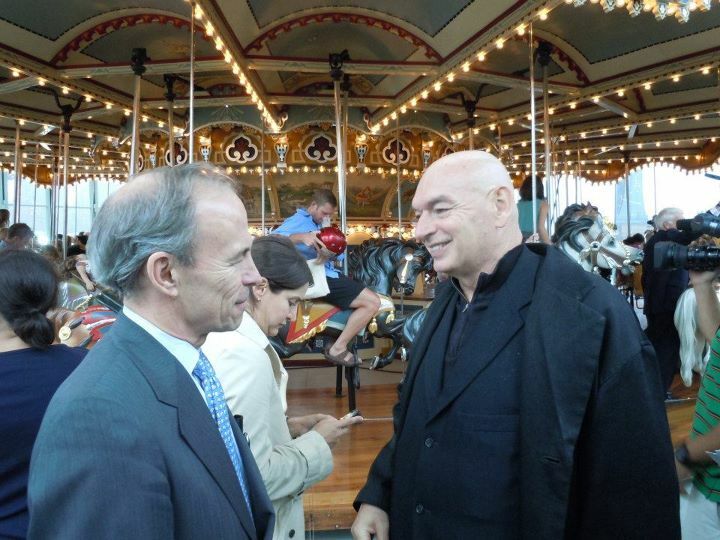 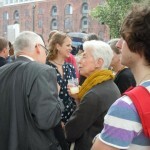 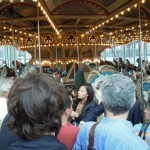 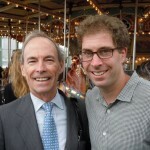 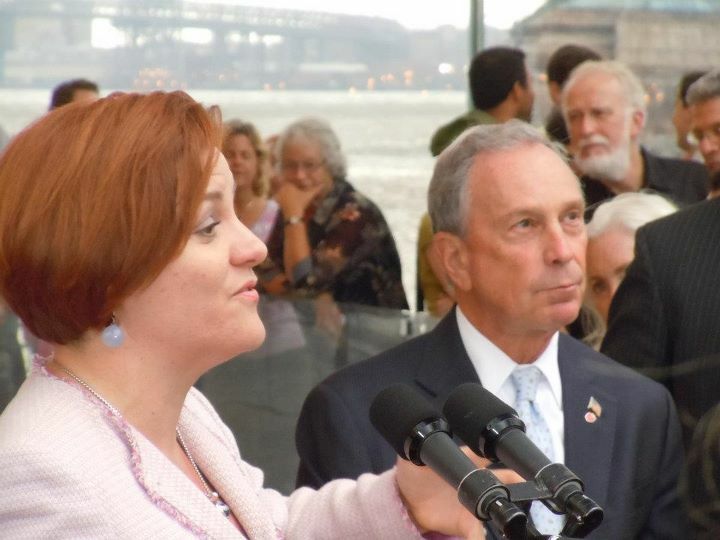 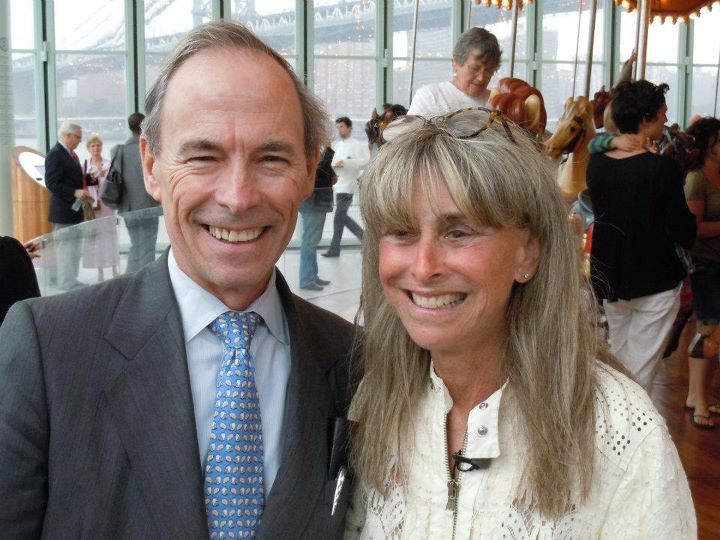 On a rainy, late summer afternoon in DUMBO, a crowd of politicians, city and state employees, dignitaries, philanthropists, and dedicated New Yorkers gathered for the ribbon cutting ceremony for Jane’s Carousel, the long time dream of Jane Walentas and her husband David. 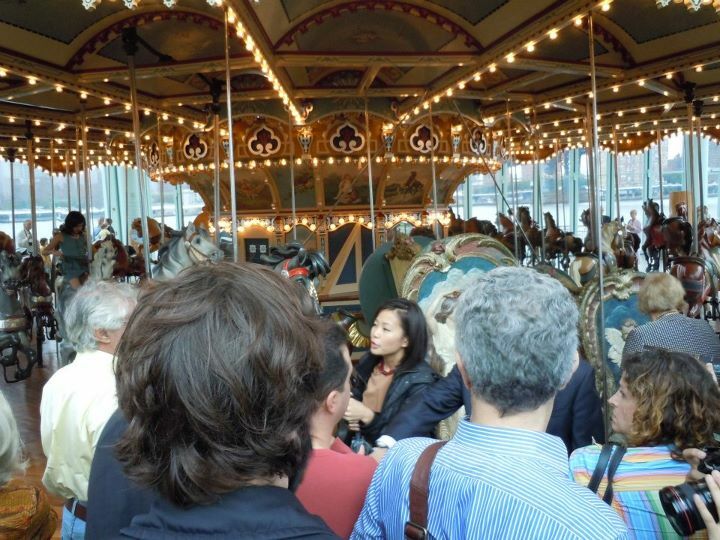 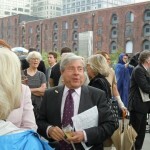 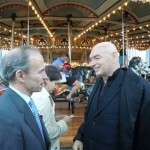 With many of the people involved in the project on site, this opening party debuted one of the most incredible carousel restorations in the country, housed in the Jean Nouvel designed pavilion in Brooklyn Bridge Park. 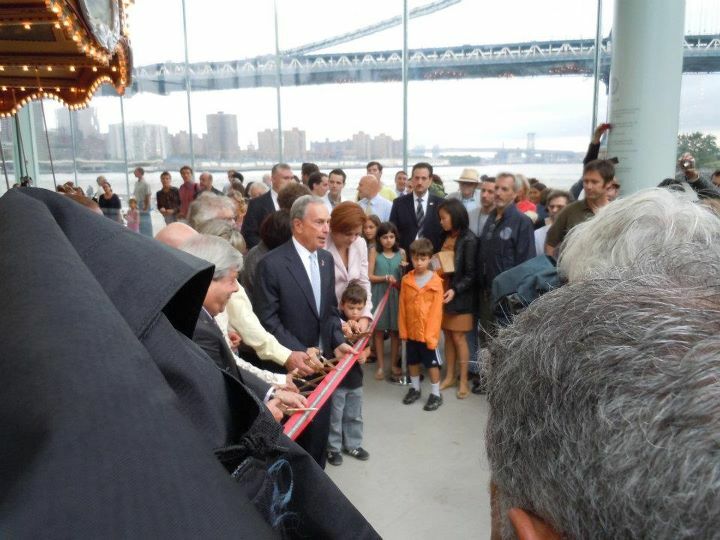 A spectacular addition to the Brooklyn waterfront and a generous gift from the Walentas family for future generations of New Yorkers to enjoy.